As airports across the East Coast of the United States clear up after the snowstorm that saw up to 40 inches fall last weekend, we take a look at which airports and airlines faced the greatest disruption. 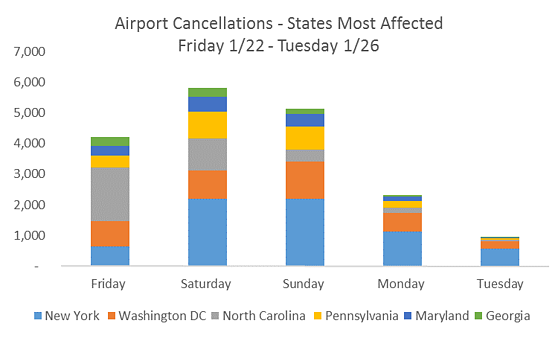 Over the period from Friday 22 to Tuesday 26 January, New York’s airports (BUF, EWR, JFK & LGA) were hit hardest, with 6,754 cancellations – some 40% of all scheduled flights over the 5 day period for these airports. Washington DC’s main airports (IAD & DCA) were also severely affected with 3,812 cancellations over the same period. 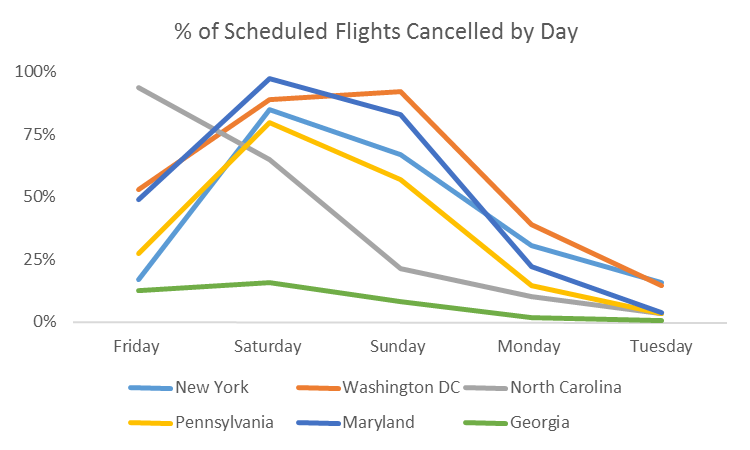 In New York, Saturday was the worst day with 85% of flights cancelled while in Washington, the impact ran over both Saturday and Sunday with the cancellation rate running at 90% both days. Unsurprisingly, American was most affected, with its hubs in Charlotte (CLT), New York and Philadelphia all snowbound. American cancelled 43% of their schedule, 6,483 flights over the 5 day period, with 2,095 of these on Saturday, the worst day of the storm. 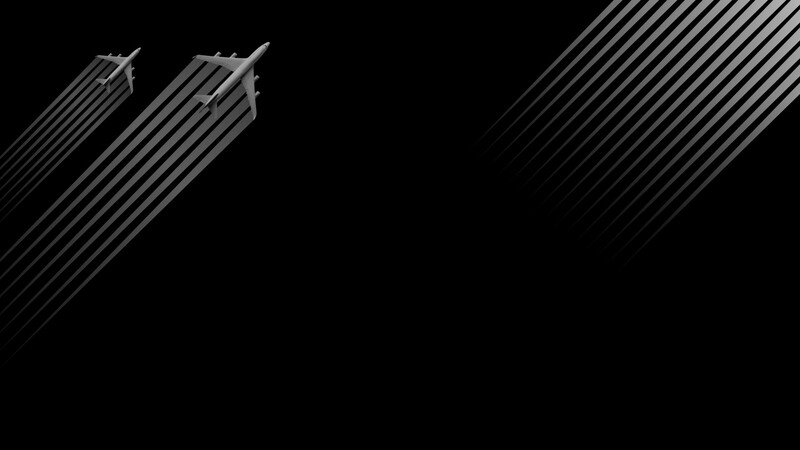 United also faced considerable disruption, cancelling 57% of their schedule, 3,933 flights over the period. 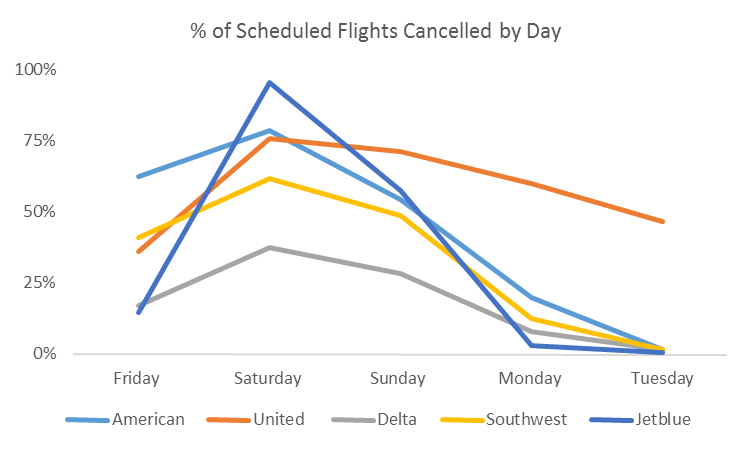 Collectively, the 5 airlines most affected by the storms cancelled over 16,000 flights. 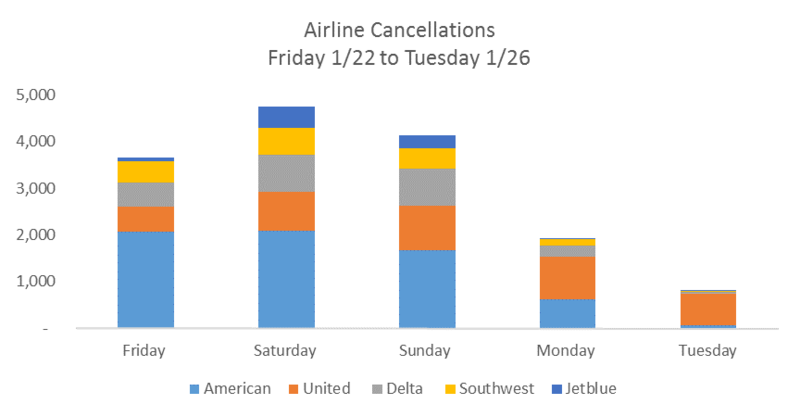 The charts above show that by Tuesday, things were getting back to normal and it is to the credit of the airports involved that they handled any operations at all during the storm. These airports and the airlines affected by the storm the media called ‘Snowzilla’ will be hoping that the worst winter storms of 2016 are now behind them.